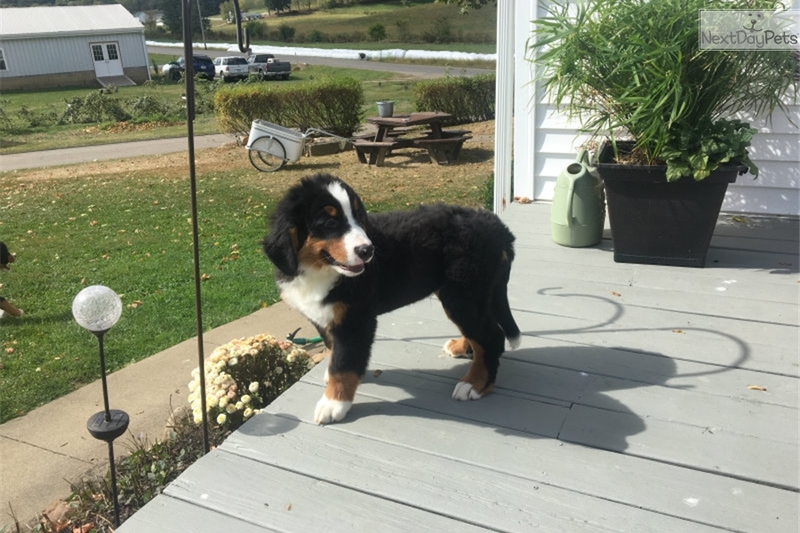 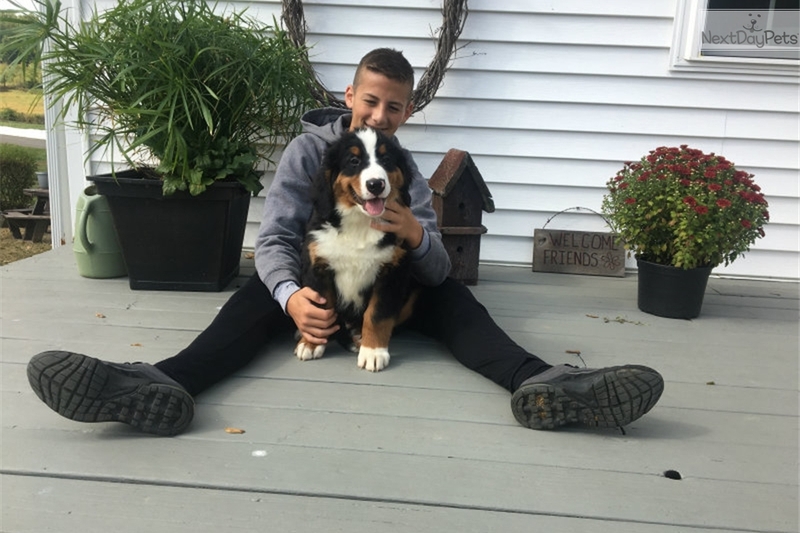 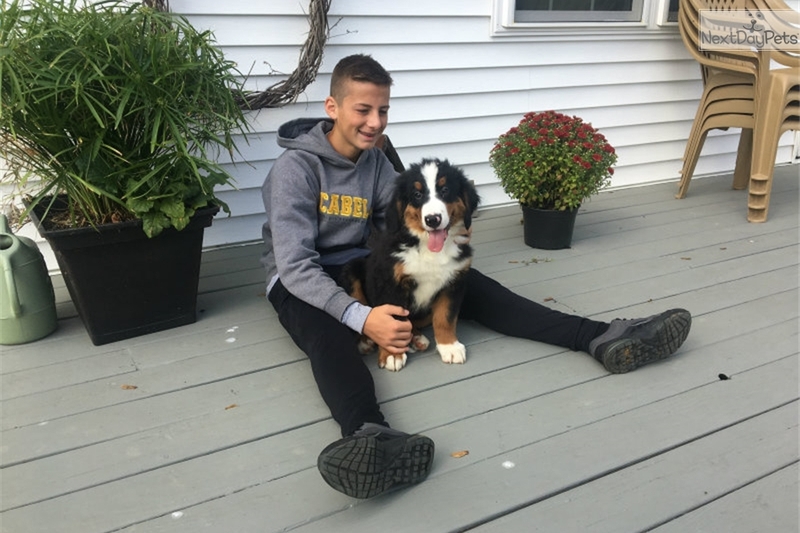 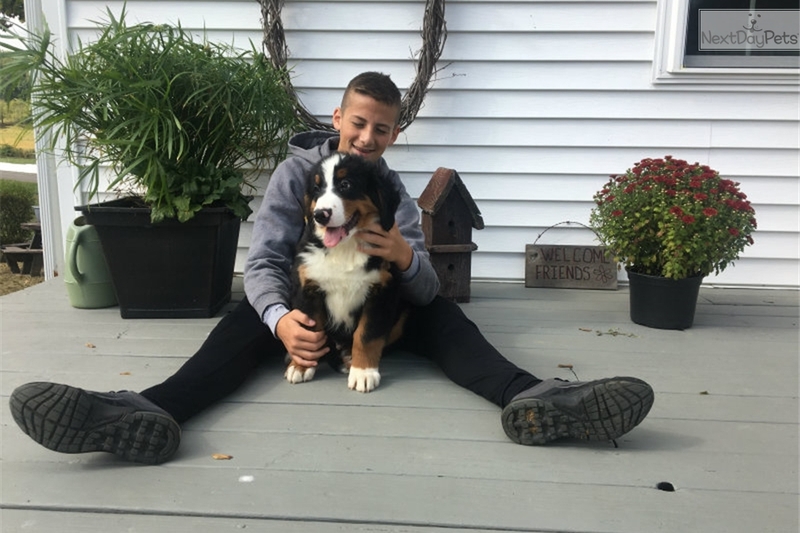 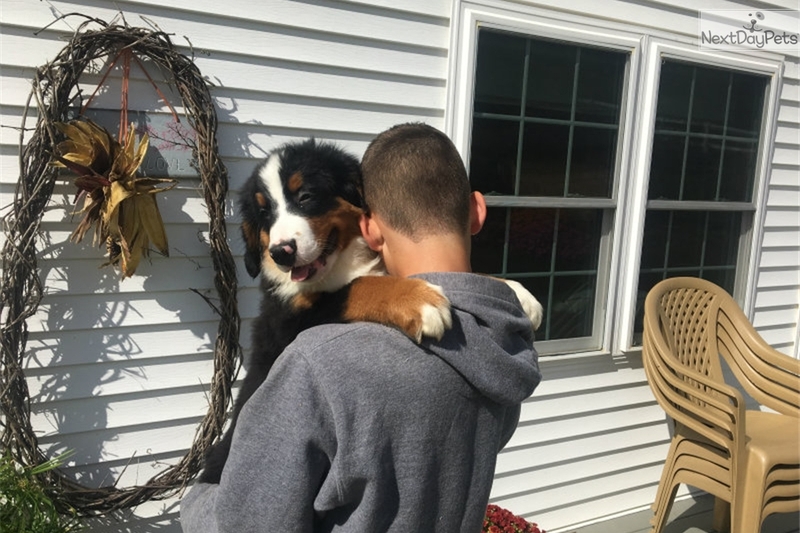 AKC Bernese Mountain Dog "PEYTON"
Meet Peyton: His heart is as big as he is strong. 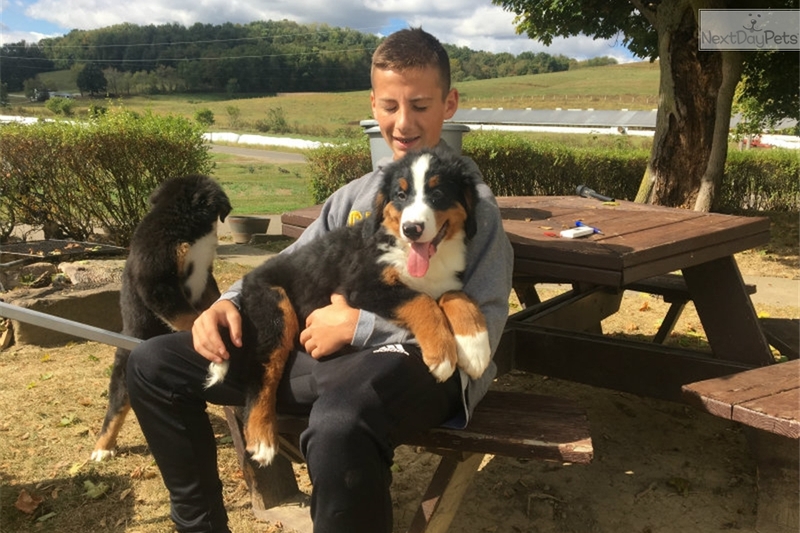 He loves playing with children and his sweet disposition makes him a devoted companion. 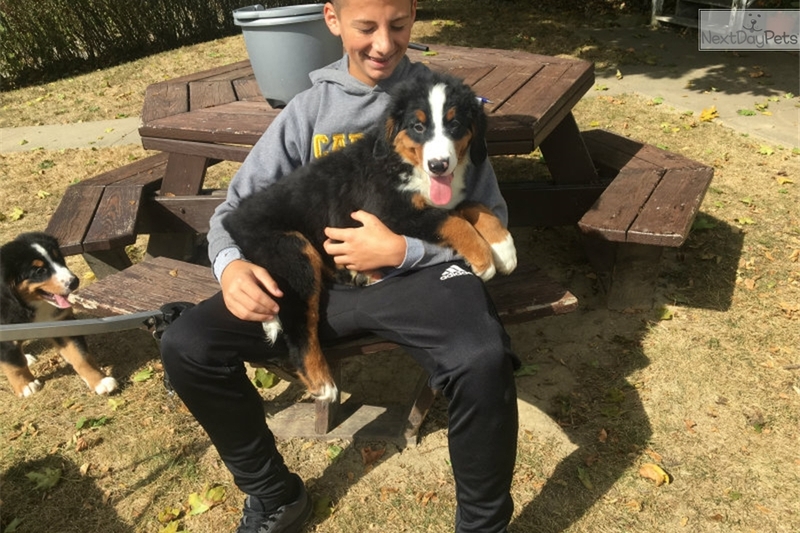 He is fiercely loyal and will quickly become attached to his new family. 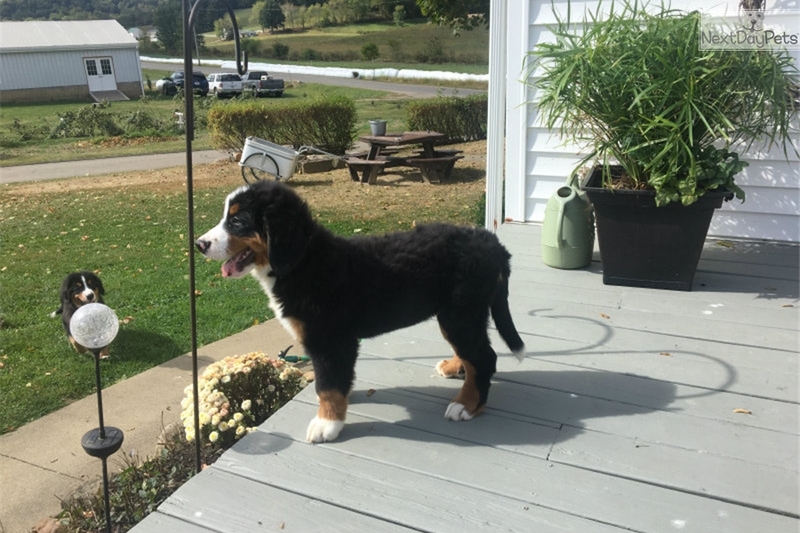 He is ready to find his forever home! 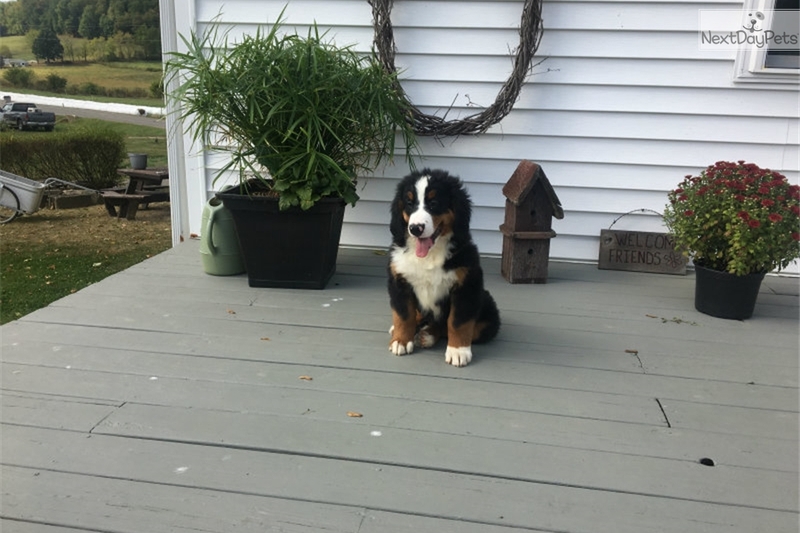 All of our puppies come complete with AKC registration, Genetic Health Warranty, Dad OFA certified, current vaccinations, vet checked and microchipped. 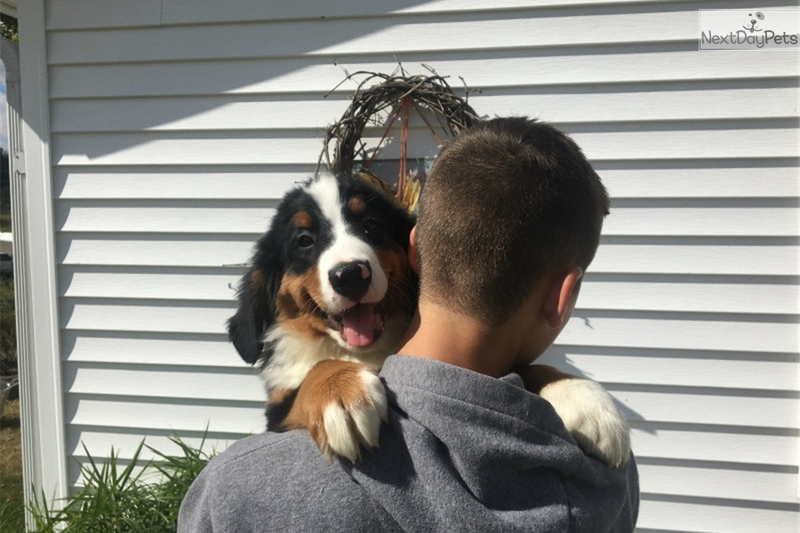 They are loved on and raised as part of our family.